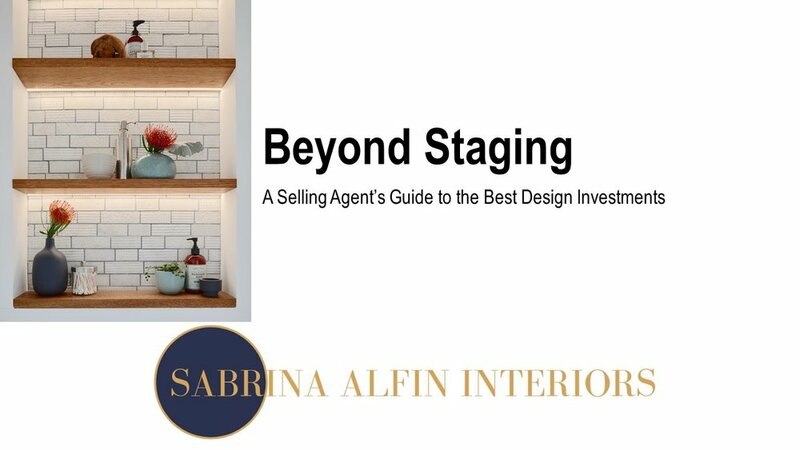 If you're a residential real estate agent in the Bay Area, you know that staging a property only goes so far. With selling prices well exceeding the asking price, buyers are reluctant to spend even more money on renovations. So what are the smart design upgrades sellers can do before they put their home on the market to ensure the greatest return and compete with the ever-increasing supply of new housing stock? On June 28, 2018, join Sabrina Alfin, CID #6859, Allied ASID for a lunch n' learn to find out more! A box lunch will be provided. Space is limited; reserve your seat today!